Miami City Ballet Artistic Director rehearses the ballet Apollo during her first series of performances at the head of the company. Right now, the biggest ballet companies in the U.S. are run by men -- with one exception: Miami City Ballet, where Lourdes Lopez is wrapping up her first season as head of the company. “On stage, the female dancer is the main focal point, but once we step off the stage we don’t maintain that,” said Lopez. 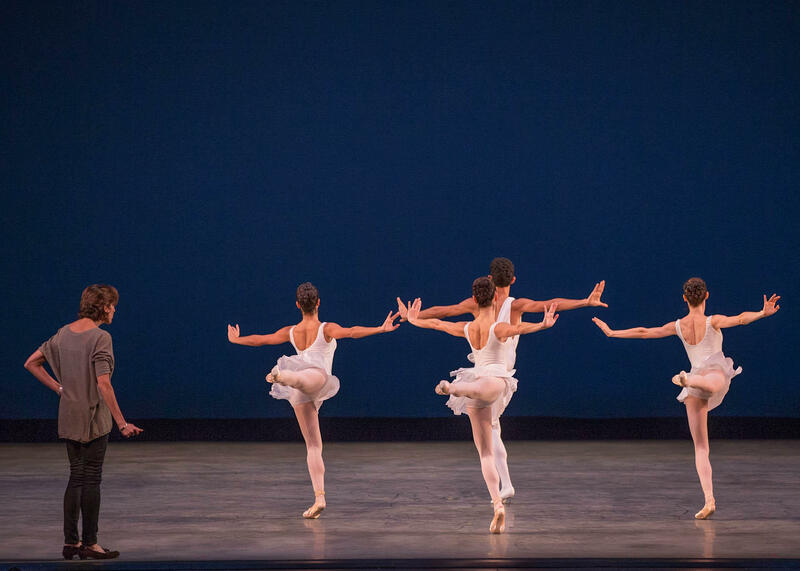 In terms of budget size, Miami City Ballet was the eighth largest ballet company in the country in 2011, according to the most recent budget information available. You have to go all the way down to number 20 to find the next female artistic director -- the Cincinnati Ballet's Victoria Morgan. When renowned ballet writer (and former New Yorker magazine editor-in-chief) Robert Gottlieb was asked to help the company find a new artistic director after founder Edward Villella announced his retirement, he turned to Lopez for advice. But it didn't immediately occur to Gottlieb to consider her for the job. "As I talked to her and heard her extremely intelligent, well thought out answers, it occurred to me: why not Lourdes?" recalls Gottlieb. "She's the perfect person." Before she took the Miami job, Lopez had worked on both the artistic and executive side of several major dance organizations. She was a member of the New York City Ballet, ran the George Balanchine Foundation and co-founded a contemporary ballet troupe. As a Miami native growing up, she and her friends dreamt of becoming great dancers but never of being the boss, said Lopez. According to Dory Vanderhoof, who co-founded a firm that helps companies find artistic directors, women don’t seem to be applying for those leadership jobs at the same rate as men. “We usually get one or two women to 4 or 5 men,” said Vanderhoof. The firm has found artistic directors for ten companies. “In terms of the people ultimately selected, eight of them were single males and two of them were married, where the males took the artistic lead and their spouses worked in the studio with them.” That's with selection committees that were more or less evenly split between men and women. Both Vanderhoof and Lopez think one of the reasons might be because girls and boys have such different experiences during their training years. 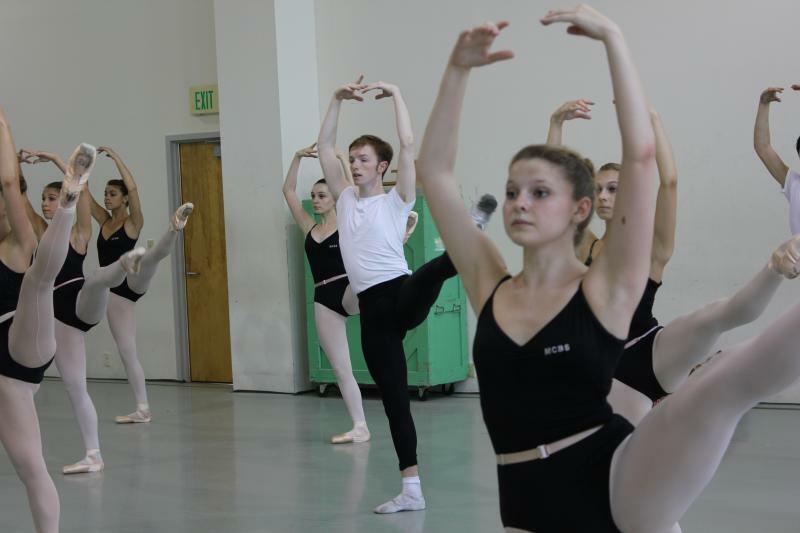 In the U.S., boys who want to do ballet are hard to come by. Advanced students taking technique class at Miami City Ballet School. Boys often receive hefty scholarships and special treatment in order to attract them to the profession, and many people in the field say that may give young men a sense of empowerment that their female counterparts don't get. As for how Lopez got to the top, she says she doesn't consider herself particularly special. She credits her parents, Cuban exiles who taught her to take advantage of any opportunity that came her way. And she's glad she jumped at the chance to lead Miami City Ballet. Lopez says she’s not sure if her new post is a sign that the culture is changing—there were women who ran major companies before. The most important thing for her is to take Miami City Ballet to the next level. If you ask someone to name a valuable commodity, they may say gold, or oil. Ask someone in ballet the same question, and there’s good chance they’ll say boys. Most ballets have almost equal part male and female roles. But in the U.S., boys who want to do ballet are hard to come by. For that reason boys often receive full scholarships to ballet schools and other forms of special treatment in order to attract them to the profession. Former principal dancer with New York City Ballet Philip Neal was one of those boys. It’s opening night for the Miami City Ballet. An era is ending at Miami City Ballet. In addition to the resignation of its founding director Edward Villella, his wife Linda is stepping down from her post at the helm of Miami City Ballet School on August 31st. A former professional ice skater, she never intended to immerse herself in the ballet world and follow her husband’s artistic pursuits. The idea sprung from her desire to create a ballet school for her daughter, Crista. She wanted a ballet school closer to her husband's Miami Beach company.